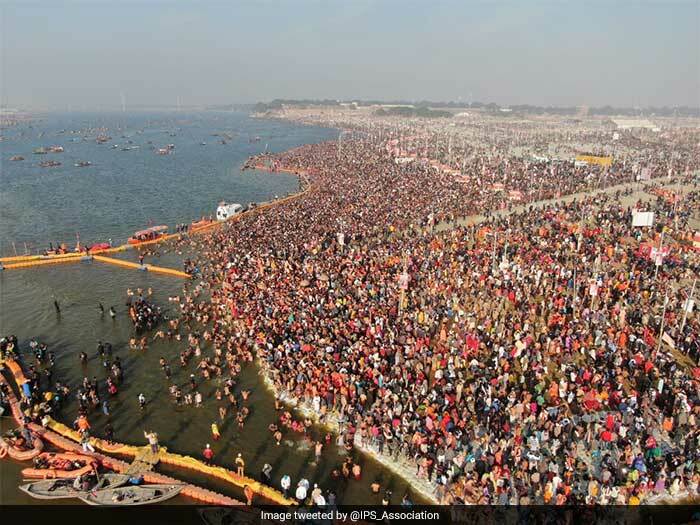 New Delhi: The Prayagraj Kumbh Mela 2019 has secured place in the Guinness Book of World Records for the largest crowd management, largest sanitation drive and largest painting exercise of public sites, the government said here on Sunday. “A three-member team from the Guinness World Records visited Prayagraj for the purpose. Exercises at a large-scale were performed before the team for four days, from February 28 to March 3. Around 503 shuttle buses were pressed into service on the highway in one go for the team on February 28. Several people participated in a painting exercise on March 1 and 10,000 workers engaged in cleaning at the Kumbh, all performing their duties together,” the Ministry of Culture said in a statement.